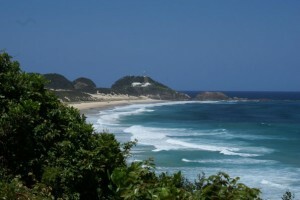 There has been much talk about a resort style facility being built at Number 1 beach camping reserve – Seal Rocks, just near Forster on the NSW central coast. Seal Rocks is a very popular camping ground facility next to Sugarloaf Bay, offering affordable accommodation at one of the central coasts most picturesque beaches. Local residents are banding together to stop any plans by a consultancy – Integrated Site Design, to redevelop the area and reduce the number of camping sites and increase the number of cabins on the grounds. The locals are so committed to garnishing support they have created a Facebook group which has gained over 7000 members in a matter of weeks. Many stories are being left of Australian’s enjoying their time at Seal Rocks and how they can fight this development proposal. If you would like to help save one of Australia’s natural treasures join the group and show your support!